Happy New Year! I know many of you have probably made new years resolutions to get fit and be healthier this year, or maybe you’re just trying to detox from all the holiday eating. Regardless of what your goals are this year I thought I would bring back one of my favorite features I have done on the blog where I write about some of my current thoughts and favorites to help inspire you in the New Year. 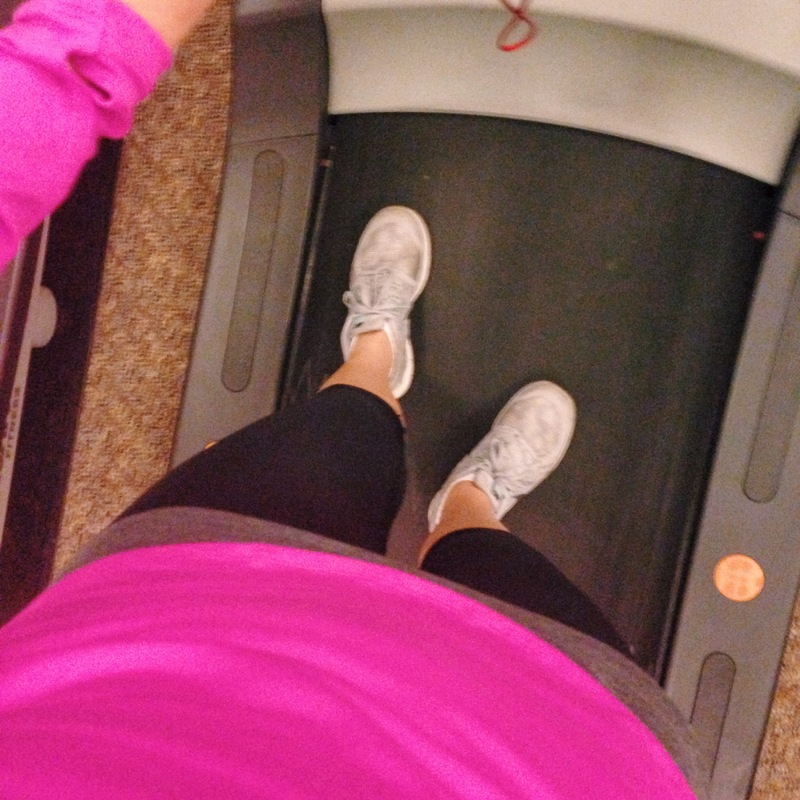 Current Thought: This week I walked into my small community gym at my usual 5:00 a.m. on Thursday so I can do my once a week intervals on the treadmill. To my surprise there was another girl there and two more showed up a few minutes later. I had always had the gym to myself that early on a weekday morning. I knew it was because of the New Year and they were trying to maintain their resolutions so a few different thoughts came to mind. I came across quiet a few positive and negative comments about how crowded the gyms will get at the beginning of January on the web this past week and wanted to share some of my favorite positive thoughts I read about. Even though I was a tad bit annoyed I had to use a treadmill that I’m not used to and is slightly broken I reminded myself that the gym should be a positive environment with people encouraging one another. If you’re a newbie to the gym, ask questions, work with a personal trainer, don’t be intimidated, and don’t sub come to the stereotype of only lasting a few weeks. Remember your resolutions are about you and nobody else. If you truly want to make a difference and get healthy or fit, it needs to be a lifestyle, not a cycle you go in and out of. If you have been going to the gym all year long, remember that you too were once that newbie at the gym and remember that scary feeling of not really knowing what you’re doing and where everything is, smile at someone new and help them out. Keep the gym a positive friendly environment. Current TV Show: The Challenge: Battle of the Bloodlines. Please tell me my husband and I aren’t the only people left that are still obsessed with the Real World and Challenges. I love watching all the drama and seeing what crazy obstacles they need to overcome each week. Current Workout: Les Mills BodyPump! This is a great class for muscular endurance. 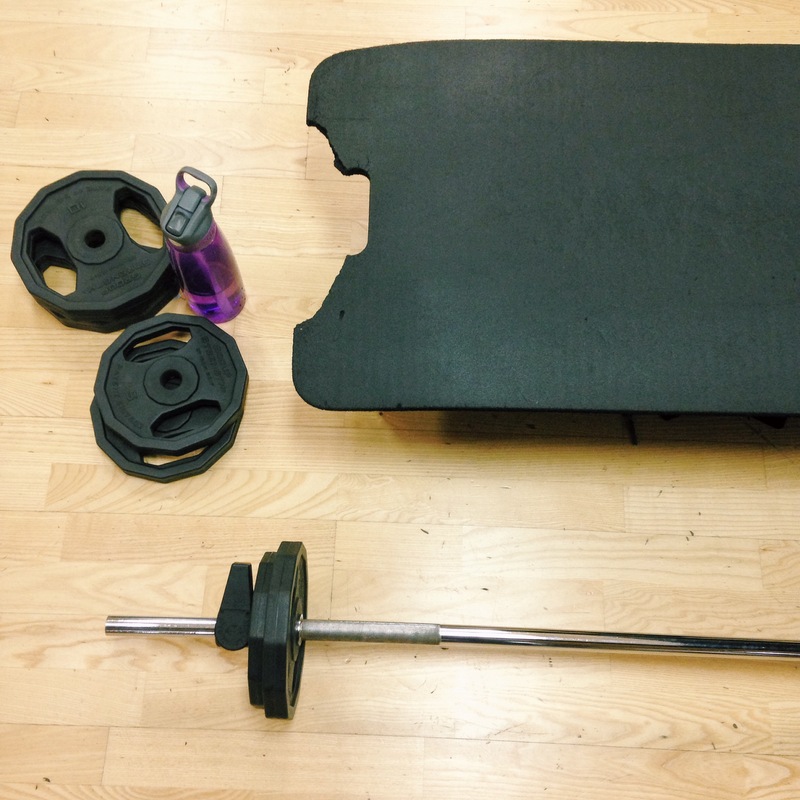 You don’t have to know anything about weight training for this class. The instructor will guide you through and you will be amazed by how much stronger you’ll become just by attending a few classes. I love that it works your entire body and the music is super fun. I have been wanting to try other Les Mills classes such as Body Combat which I believe is more cardio, so I’ll let you know how that goes too! Current Indulgence: For Christmas my mom gave me a box of dark chocolate caramels. I try to only eat chocolate once or twice a week and when I do I’ve been eating these because they are so good. They are from Malley’s Chocolates which is based out of Cleveland. I haven’t really done much baking since the holidays, just been sticking to all the candy we received as a treat. Current Nail Color: Red. 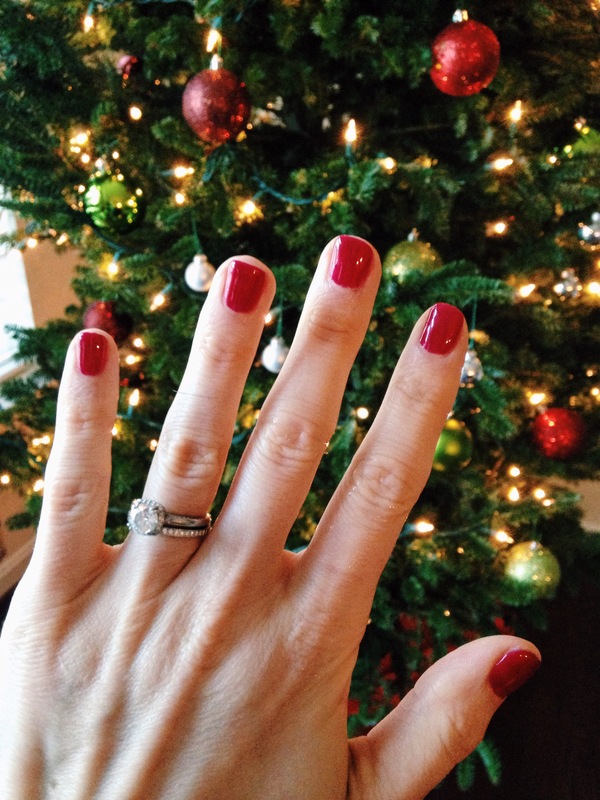 This Christmas mani just actually came off. And I probably won’t hit the salon again for a few months and I’ve given up on doing my own nails! Current Food: Brussels Sprouts. I don’t know why growing up this was like the forbidden vegetable because they are so delicious when cooked right! I cut and spread the sprouts over a pan, drizzle with some extra virgin olive oil, salt, and pepper. Then roast at 400 degrees for about 25-30 minutes. Tossing the veggies every 8-10 minutes or so. 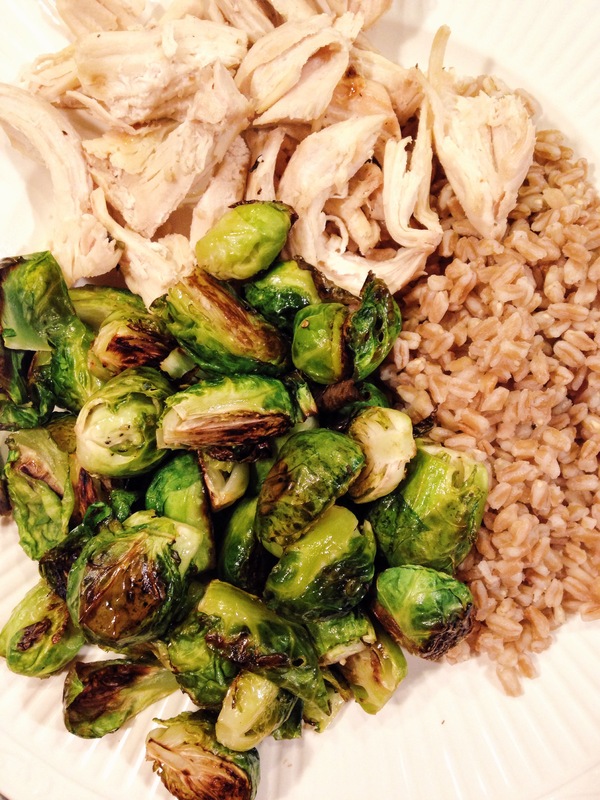 And if brussels sprouts really aren’t’ for you try this method with any veggie, I literally fill up half my plate with roasted veggies at most meals. Current Drink: Kombucha. I’m having some right now! 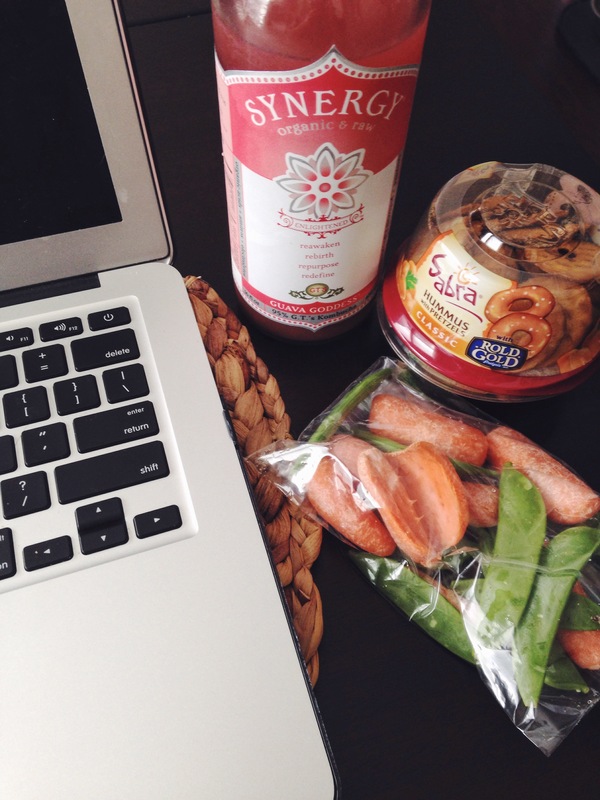 Kombucha is fermented tea and is full of enzymes and probiotics to support a healthy digestive system. It is a unique taste that took a bit of getting used to. But I love that it’s a bit fizzy so it’s a great replacement if you’re having a hard time ditching soda. Current Wish List: So many things I could list here. 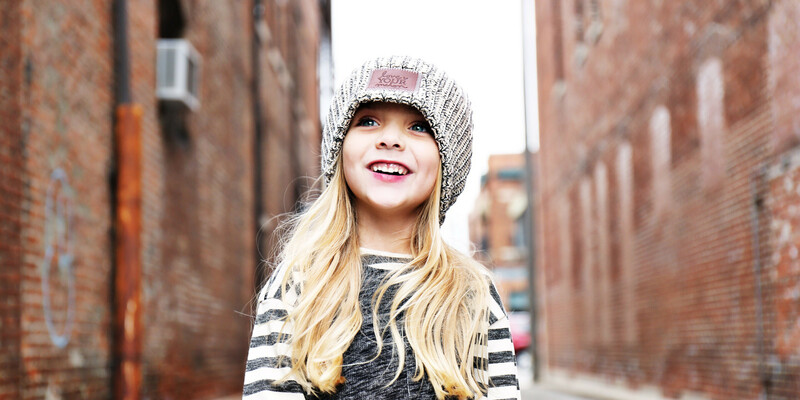 I’m gonna go with a Love your Melon beanie. They are always sold out when I look and I really want one. They are cute winter hats and the idea is that the college students that created them want to put a hat on every child battling cancer. 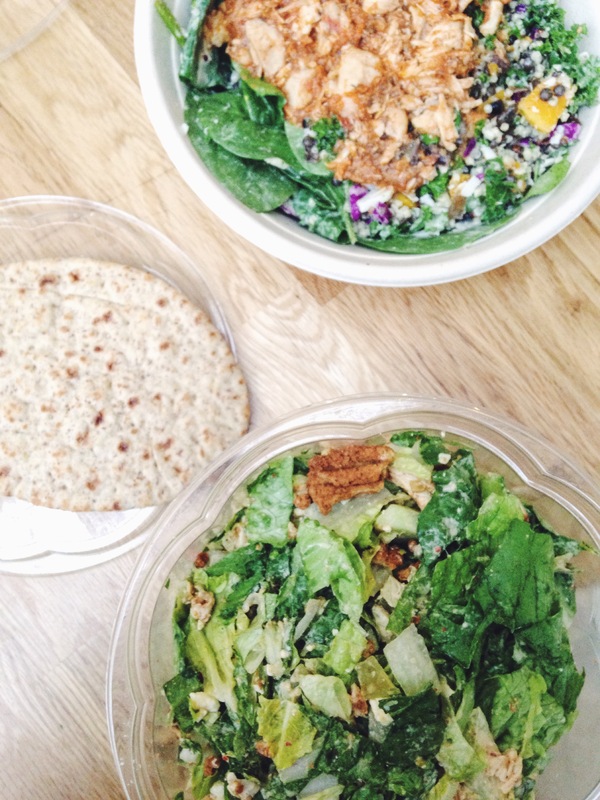 Current Restaurant: My sister and I recently visited Chopt a creative salad company. I love giant salads. Chopt is a place where they have several salads you could order or you could customize and make your own. Even the guys don’t mind dining here! Typically I like creating my own but I had a spicy chicken shish kabob salad and it was delicious. Chopt is really similar to Sweetgreen, they are both found across the country and in DC, but they really need to bring these restaurants out to my suburb because I could eat here everyday for lunch or dinner! Current New Tech Gadget: I got a Heart Rate Fitbit for Christmas and am still working on trying to figure everything out. I really want to use it to figure out my heart rate during my HITT workouts and track how many calories I burn. I always find the steps interesting, but thats not really my goal with it. Current Link: Lately I have switched up my workouts a bit to where I am doing about three to four days of HITT workouts I create myself (and I will be sharing soon). I can’t believe I used to run about six days a week and wonder why I wasn’t noticing significant changes in my body. Whether it’s running, riding the bike, or elliptical, this new year I challenge you to stop working on your cardiorespiratory endurance every day and try bodyweight exercises and using weights to work on your muscular strength and endurance. Then only use the light cardio for days off in between. Here is a great article I found on the benefits of bodyweight exercises if I still need to convince you: 13 Legit Reasons to Start Bodyweight Training Today. Now it’s your turn! What are some of your current foods, workouts, thoughts?!? Looking forward to your HIIT routines. I love doing workouts like that, you don’t need a ton of time to get a great workout! My current workouts are Pure Barre and walking (since I’m pregnant). I’ll be getting back to some HIIT routines after the baby is here! Hi Marielle! That’s so great you’re still able to do some workouts while pregnant though. 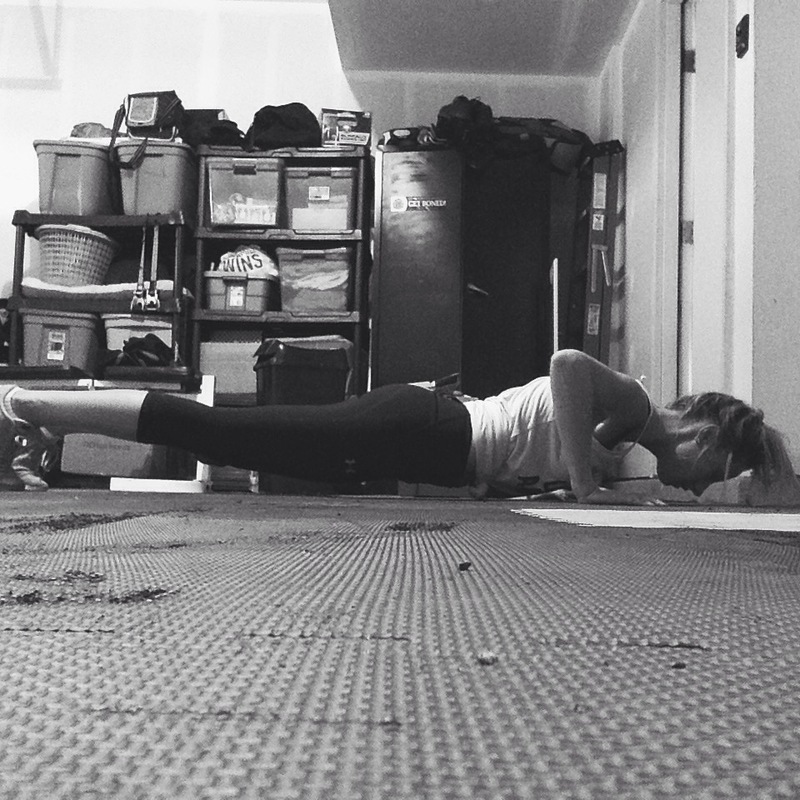 I have yet to go to an actual Pure Barre Studio, but have done some videos at home and love it.